BSI takes pride in the creation of unique and innovative instrumentation for the corrosion monitoring/control marketplace with a worldwide recognition of product quality and customer focus. 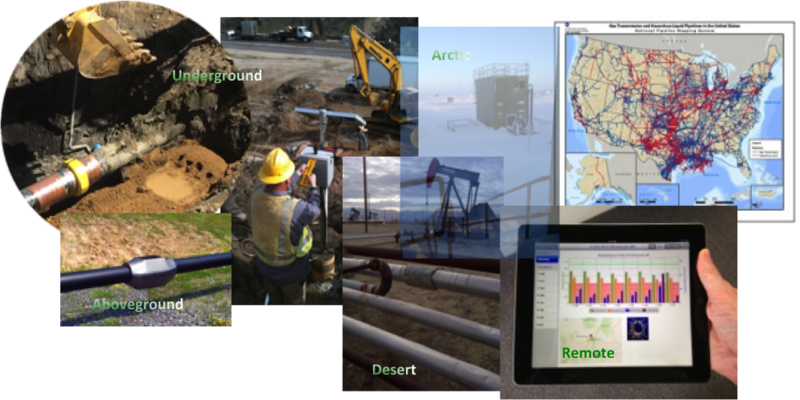 Whether in the office, in the field or working with our affiliates, you will be working on the leading edge of mechanical integrity field data acquisition, monitoring and data analysis systems. We offer career training and advancement opportunities within an environment of technical excellence and exciting business growth opportunities. We are looking for professionals who would like to participate in the future of corrosion prevention, monitoring and control. Advancements in wireless technology, remote sensing, and cloud computing are beginning to become integrated into the world of corrosion control and monitoring. BSI is in the forefront of these developments and expects to continue to maintain its lead in the marketplace. Working with us will provide candidates with very unique opportunities to apply their knowledge, expand their skill set and participate in the rewards associated with a solid early growth stage company. We are looking for professionals who are interested in making a change. Professionals who see the excitement in the opportunities associated with bringing new technology to the world of structural integrity monitoring and control. We develop products and we offer professional consulting and field services to our customers. We look for professionals with field experience and those who are sensitive to the needs of the customer community. Academic degrees may be important for certain positions but not always. Professional certifications are always a plus and may be required for certain positions (such as ASNT and NACE). We also look for professionals with good ideas who are looking for a place to further their development within the context of new product development and service offerings.